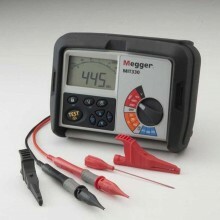 Includes: 2 test lines 600 V CAT III, red and black 80 cm, 2 safety crocodile clips, 1000 V CAT III red and black, leather bag, attachable test electrode. 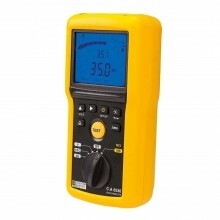 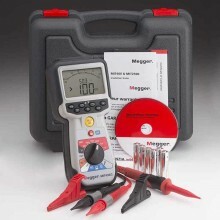 The Tietzsch MegaSafe ISO 1Ex is a high-voltage testing device for safe testing of insulating resistances up to 2GΩ, with test voltages of 32V up to 500V and with a digital read out system. 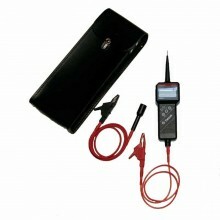 The device is external voltage-proof up to 500V. 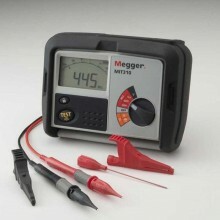 It has an integrated protective series resistor of 500kΩ for safe application in Ex areas. 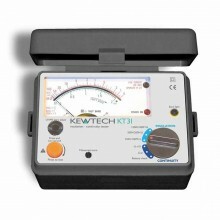 Precise indication of resistance between 1 kΩ and 2 TΩ. 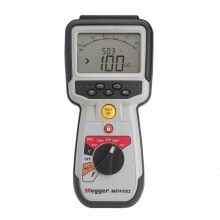 32, 100, 500 V test voltage. 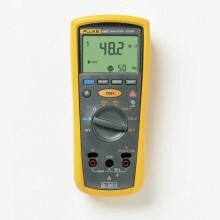 Universally applicable due to large measuring range and automatic range selection large display with backlight. 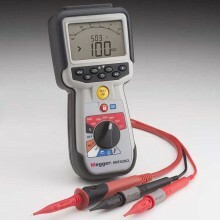 Indication of external voltage and integrated voltage of capacitances. Clear LED indicator for dangerous voltage. 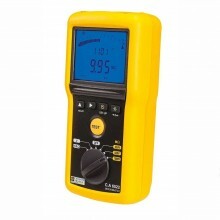 Voltage value on the LCD and warning acoustic signal. 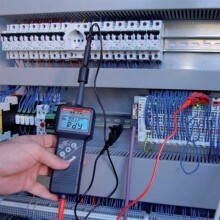 Protection circuit against external voltages up to 500 V.
Resistance Area 1 kOhm - 2 TOhm. 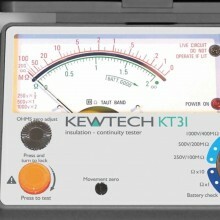 1.999 MΩ Resolution 1 kΩ, 5% +/- 5D. 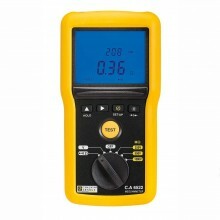 19.99 MΩ Resolution 10 kΩ, 5% +/- 5D. 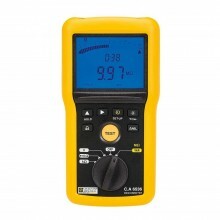 1.999 GΩ Resolution 1 MΩ, 5% +/- 5D. 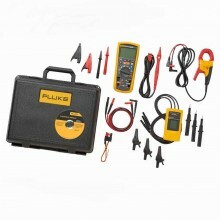 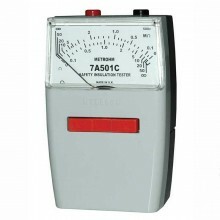 Voltage Indication red LED and acoustic warning signal and indication of the value in Volts. 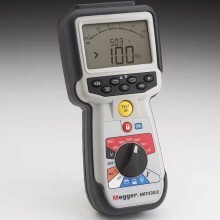 Continuity tester with sound Yes. 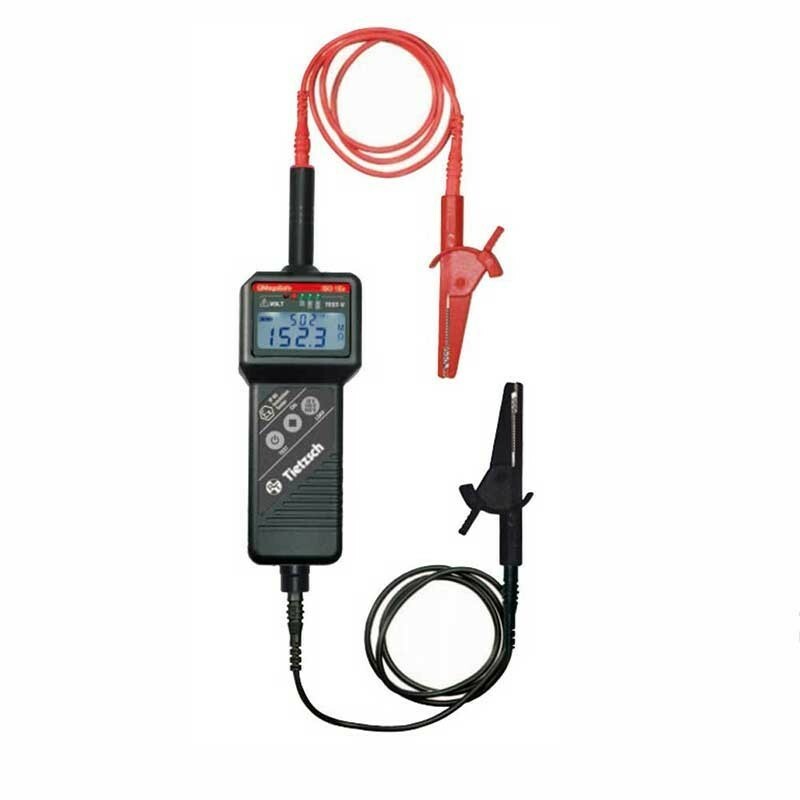 Connection / Electrode + electrode, 4 / 15 mm - socket for 4 mm plug. 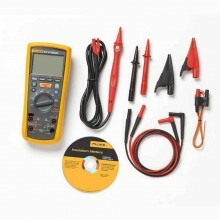 Power Supply 1 x 9 V.
Overvoltage category CAT III 600 V / EN/IEC 61010-1. Display double-spaced LCD display, 3 1/2-digit, overflow display. 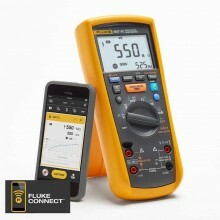 Casing impact-proof ABS with unbreakable display cover, antistatic coating. 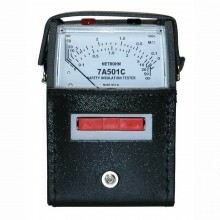 Dimensions 230 x 60 x 40 mm. 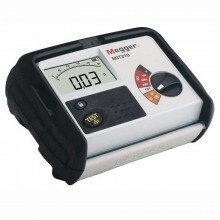 Tietzsch MegaSafe ISO warranty One-year. 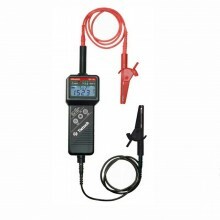 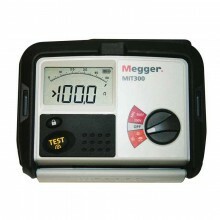 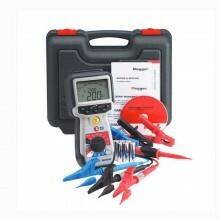 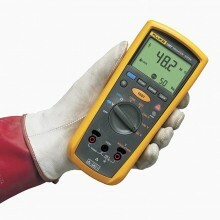 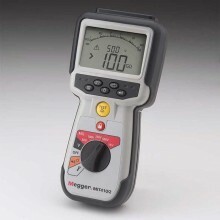 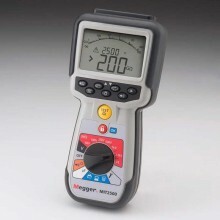 PDF Manual (German & English) of the Tietzsch MegaSafe ISO 1Ex Intrinsically Safe Insulation Tester.